Even as an adult, feelings can sometimes be hard to understand! 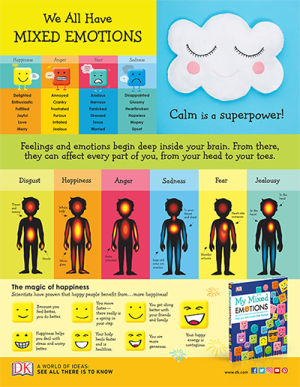 Our book My Mixed Emotions makes it easier for children to identify and manage the natural ups and downs they experience every day. Our free poster is a helpful resource allowing you to better guide your kids or students through their journeys. Download yours below.